The word 'Homecoming' is such a beautiful word. There are so many homecomings from those we thought were simply a priority in high school to the grand homecoming we will all celebrate in Heaven some day. All I can say is "job well done my friends...job well done." 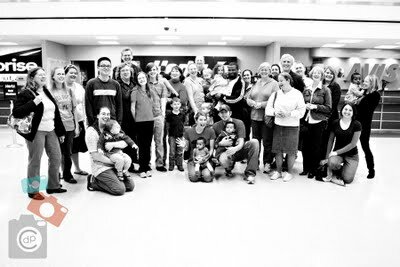 With everyone's prayers and support, the enemy was defeated and this beautiful family is on American soil, home...home!!! Unable to be with the beautiful family as they arrived at the airport, I tear up just seeing the photos. In my head all I hear is Audio Adrenaline's song, Big Big House. All I know is your all alone, so why not come with me? Welcome home Mullin's family...welcome home. Smilin' for the Risen One! Christ is alive, the girls are more beautiful than ever, and blessings pour. ...and soon she'll have her MBA. Trading bows for ball caps. 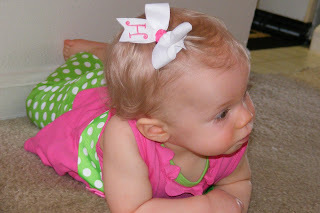 When Emma had just turned one year old, I discovered clippies, we called them, for her hair. How cute and fun to "decorate" my daughter! 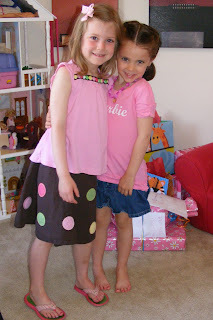 Then as her hair got longer, we graduated to bows...and bigger bows...and then two big bows. Emma didn't go anywhere without her momma sticking these over the edge, humongous, bows in her hair. It's a wonder that her little head didn't tip over many times! Anyhow....excited that my little Hope has much hair, I have tried decorating her up. Not so easy. She pulls them out or moves around too much that they just get knocked out. (No fear though, this momma will not give up!) ....or should I??? She played and played for quite sometime with this ball cap on. Never once took it off. Never once knocked it off. Guess the ball cap will look a little funny with her Sunday dress, huh? nahhhhhhhh. And those are my girls. Bows and ball caps....am I one lucky duck, or what? Golly, how many times does life throw obstacles out there that just slow us down? Many times it can be so frustrating to the point of just giving up. Before becoming a stay at home mom, I spent my every day teaching high school students the power of determination...the self acclimation of accomplishments...the pure joy of success. I was blessed to be able to do this through art - what a cool gig, huh?! But at the end of the day the best part was being able to see these young minds be filled with pride as the light bulbs were going off. Nothing like seeing positive smiles on those kids. Not going to hide it, but I miss them. Don't get me wrong, staying at home is a fabulous job and I can not imagine doing anything different....butttt.....I still miss those high school kid's and all their accomplishments. Yesterday, I witnessed another accomplishment. A different kind of student...a different kind of school...a different kind of teacher. She's my daughter...we were home...and I'm just the mom. But funny how those two different scenarios are so similar. Here's my eager-beaver overcoming her first obstacle. "Come on Hope, you can do it!!!" Not sure if she is sitting pretty and keeping out of trouble, or cranking the wheels in her pretty little head as to what she can do to get in trouble. Either way she's just a wad of cuteness to me! Today we celebrated with Emma as she went through Kindergarten Round-up. -sigh- What's next...prom?....SATs?..... -bigger sigh- Really...really? Five years? Not. Long. Enough. It's a very pink world Barbie lives in. Labels: Barbie, Birthdays, Celebrations, Emma L.
Ceremonial burning of the Christmas tree. Since the beginning of January our once beautifully decorated Christmas tree lay naked in the very back of the yard on our what will be official fire pit. Last night the Christmas tree took its last breath and up in flames she went. But before the ceremony began, nothing like roasting a hot dog and making s'mores to celebrate! ahhhhh....I just love the first warm evening's of spring! Emma just chillin' as her dad gets the fire started. Christmas tree not looking so good. Somebody just couldn't wait on a s'more once the crackers were open. Sticky, but heavenly. Simply divine. Hope handing out some sugar. The aftermath of our Christmas tree. It's amazing how much fun you can fit in a wagon! Emma and I were the last two standing at our fun evening. As the sky grew dark we gathered up all our goodies and headed inside. "I think we need a new Christmas tree for this year." Hurry, your help is needed! 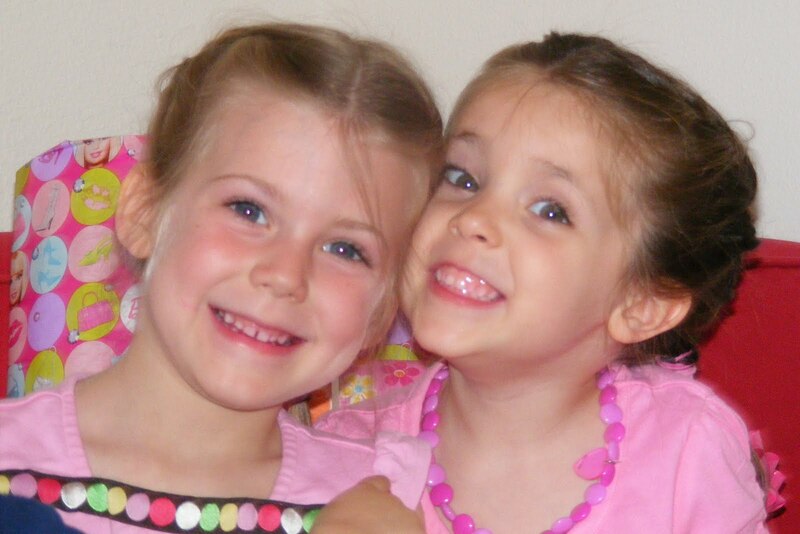 See these two faces...they are only one month older than our daughter, Hope. Today they need your help. Let me tell a small bit of their story.... My sister-in-law, Audra and her family live in Lexington, KY. They are blessed with the friendship of two very faith filled and God loving people, Wes and Nina Mullins. 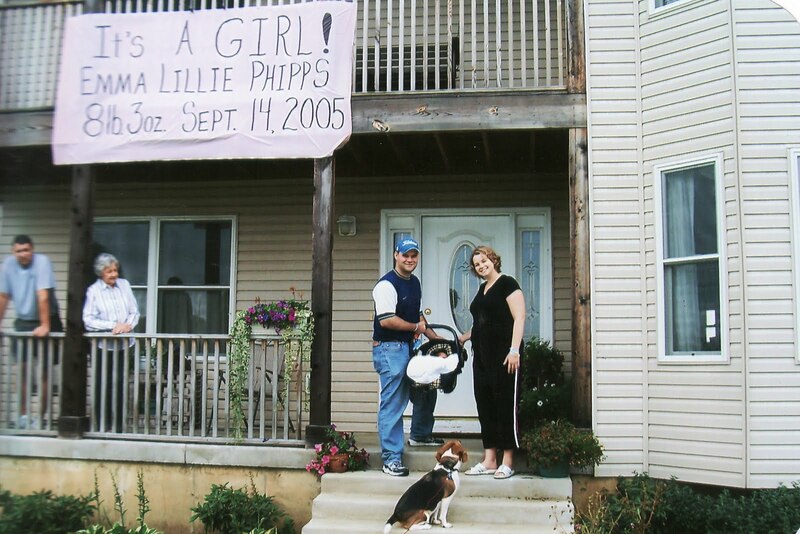 Wes and Nina have been an a ginormous journey to expand their family and bring beautiful children into their life. To make a long story short (and a very long story if you ask the Mullins I'm sure! 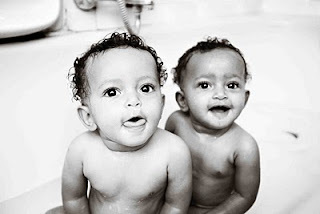 ), their prayers were answered last year when they got a call there were twins in Ethiopia that they could adopt. Waiting and waiting and waiting, they finally were able to go to the third world country in January to meet their beautiful children Alex and Eliana whom were then six months old. Many of us have pictures of meeting our children the moment they are born in the hospital. Here is that picture and moment for Wes and Nina....BEAUTIFUL. Anyhow, it is now 80 days later. EIGHTY DAYS. The enemy is doing a splendid job at making it very difficult for the Mullins family to get back to America. And now to add to the madness, Wes must come back to the US to go back to work this week leaving his wife and two children behind as they wait on the paperwork to clear. Join with me today to help make a difference. 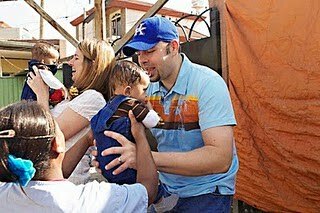 The Mullin's family has a blog: http://whenwebelong.blogspot.com/ Click here and you can see how, for this week only, you can be a part of a fundraiser to help with all the extra expenses. You have the opportunity to purchase the most adorable tote for $25, or simply donate through pay pal using the link on their blog. And of course the power of prayer is at the top of the request list! Pray that the paper work needed can get done fast so these adorable children can come home. Also pray that Satan would go to....ummmm....ya, home too. Many more pictures and of course the amazing story of this amazing family at the blog. feel free to scroll through it. I have never meet the Mullins personally, but my heart pours out to them. These are God's children they have. Their children. Their nine month old children. Lets help get them home. Thank you so much...so very very much.